Just South of Dunkin' Donuts on Naper/Plainfield Rd. 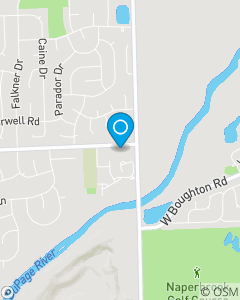 Right behind West Suburban Bank on 104th St.
Our mission is to be the first and preferred choice for insurance and financial services to everyone we interact with. We will provide everyone with the appropriate insurance and financial services that meet their needs. We promise to provide every customer with remarkable customer service, respect, hard work, and dedication. We strive to help people manage the risks of everyday life, recover from the unexpected and realize their dreams.